The Giants trek to trying to take home the NFC East is not getting any easier. Sunday in Atlanta, the birds from the NFC South came out flying, beating on Eli Manning and the Giants for a statement making 34-0 win at the Georgia Dome. Matt Ryan and the Atlanta offense set the tone from the start, as the QB threw three touchdowns passes. 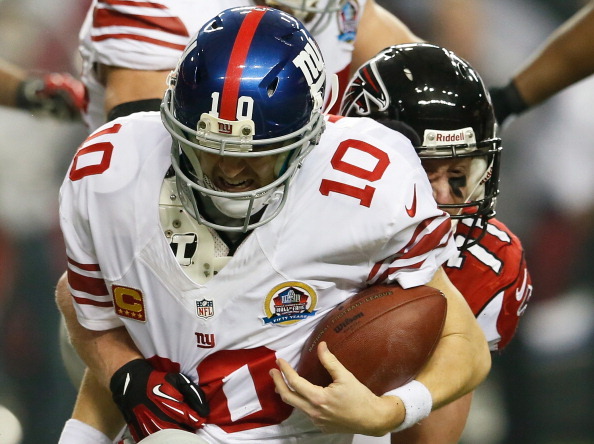 The Falcons D was unstoppable, sending the Giants to their first regular-season shutout since 1996. Julio Jones caught a couple of scoring throws from Ryan, who broke his own franchise records for completions and passing yards in a season. He finished 23 of 28 for 270 yards. 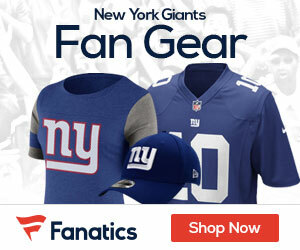 Manning threw two interceptions for New York (8-6), which came into the game with a one-game lead over Washington and Dallas in the NFC East. Anything the Giants tried to do didn’t work, and now it’s back to the drawing board as they get set for the Ravens. The Giants also went 0-for-3 on fourth down. Eli’s having an average year. Gilbride and Fewell are average. Webster’s weak, Diehl is weak, Tuck seems fairly weak as well. Get rid of Kenny Phillips, Diehl, and Webster next year. Win the next two and they have a chance. Eli’s got to “get up” for the Ravens. Gilbride should have called more Bennett. If they don’t make it, draft 0-Line and D-Line first.